Home / Batman / short / BATMAN: ANIMATED SERIES Returns in "Strange Days"
If you're a geek or a child of the 90's or both, you probably have a fond place in your heart for Batman: The Animated Series. Hugely influential and one of the most popular incarnations of Batman, the animated series created a kid-friendly yet powerfully mature version of the Dark Knight for an entire generation. 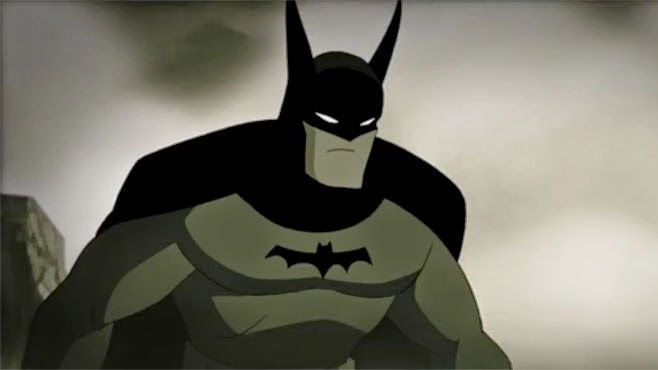 That's why it was such a treat for DC Nation to bring back Bruce Timm, the producer and writer of Batman: TAS to create a new short film for Batman's 75th anniversary. Titled "Strange Days," not only does it bring back the unique and stylish look of the detective, it also takes Batman back to his roots in his 1930's incarnation. Though it's only a few minutes long, it shows why the animated series is such a classic and its vision still resonates. What do you think of the short? What memories do you have of BTAS? White-colored shade bag is obviously risk-free to hold as it can easily match up together with virtually any attire an individual use. Dolce and also Gabbana's Celtic Stiched Buckskin Carrier inside beautiful white-colored is a superb alternative to get a glenohumeral joint carrier because of this summer season. Solomon Grundy (born on a Mond'y) and Hugo Strange. I would have to look it up, but I'm not currently aware if Strange ever appeared in the series. He did, he was the only one to figure out that Bruce Wayne was Batman using a mind imaging machine. I love the ears being reminiscent of the original design of Batman. I got my son addicted to watching BTAS and Batman Beyond.